PIN IT UP Game - What did you get? Discussion in 'Pin Zaps & Swaps' started by Poohlady5, Jun 4, 2017. 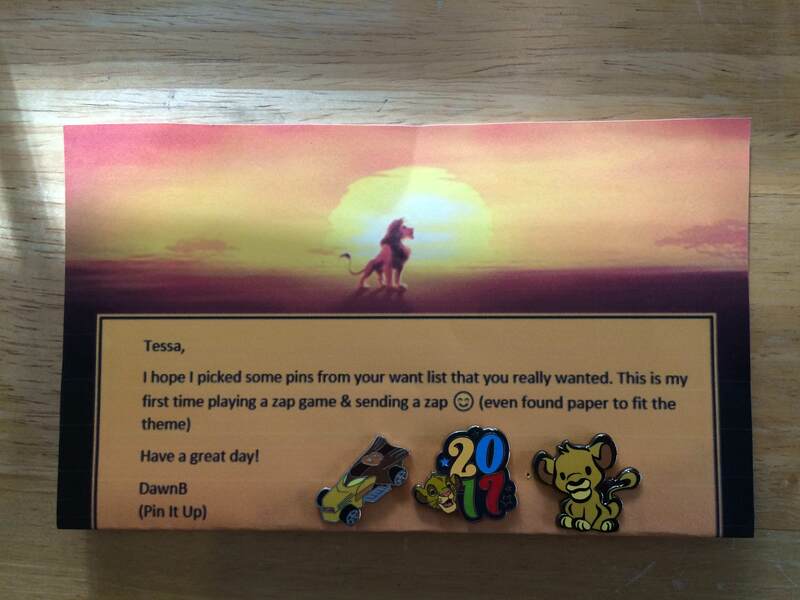 Received my pin from Tessa (Timeerkat) today. It is a wonderful Star Wars BB-8 pin (for my hubbie's collection) and some chocolate for me. Just got back from a little staycation with my parents to find a package from GreyWyvern in the mail! I got one of the Wonderfully Wicked pins I missed out on, and a super cute Epcot ball Mickey! And his note came with a very cute little lizard! Thanks, Brian! I got my wonderful zap from SoraPandora yesterday! Look at all these great goodies! Stickers! An Adventureland map button which is really unique! 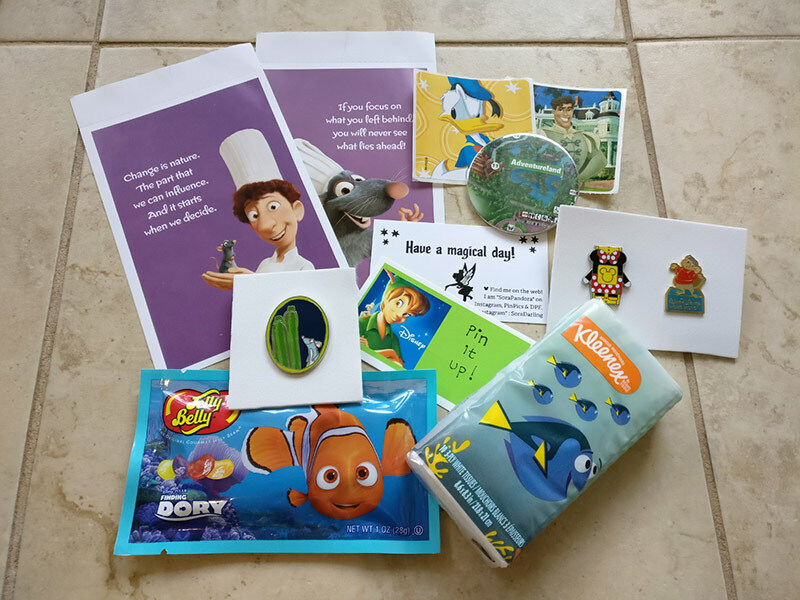 Finding Dory themed Kleenex and Jelly Bellys! A Minnie magic-band pin and a retro Bernard pin! 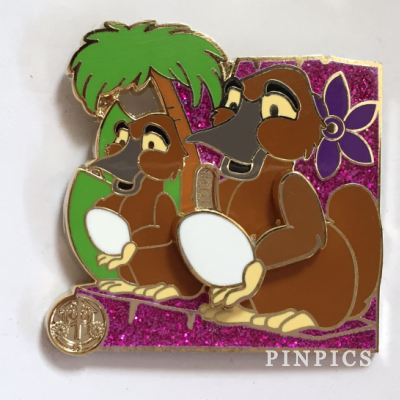 And incredibly enough, a pin actually from my (very small) wants list! I decided to try collecting the Hide and Squeak pins in January because my niece had such a good time finding Remy in Epcot's World Showcase last fall. Now I just need one more! I hope to make some kind of display with all 12 of the pins eventually. Thanks so much for the great Pin-It-Up zap, Sora! Thank you so much sockgnome!!!!!!! I love me some wall-e!!!! I was so glad I had something on your wants list! Got this amazing zap from FoolishMortal71! This pin has been on my Wants for a long time and it seemed to be impossible to trade for. Thanks so much! Thanks for waiting the extra time to make it happen! I knew it was high on your wants list. Who was supposed to get you? I'm so excited! DawnB, I hope you're ready to get my first official Zap! I can't wait to get it! My package from Arzefiel finally came!! It was so well worth the wait! I got my pin it up for slbrabham and she was really kind thank you ! I got some My little pony fabric which i can make something with, Tsum tsum and Palace Pets and Disney Princesses stickers,and four fantastic pins ,the first two were on my wants list ! . Thank you for the AWESOME package!! I am glad you liked all the pins and stuff. It was super fun going through my traders to find matches for your wants and some you could use as traders. Thanks Blurkishgirl, got my zap today (my first zap) I love it! Yay! I'm glad you liked the package. 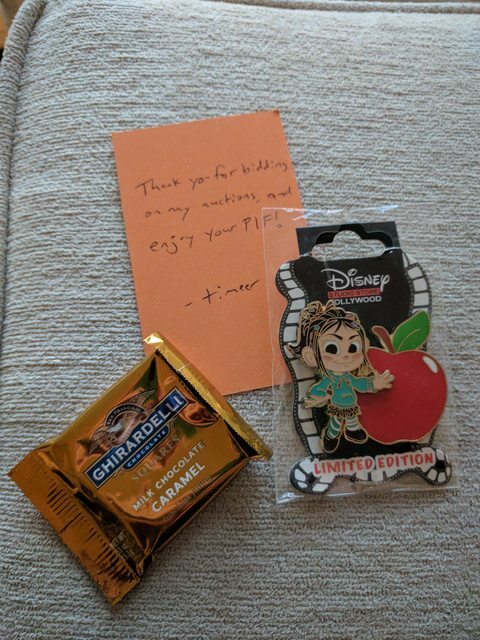 I sure hope that Remy pin is real; I ordered it for you from an eBay seller with 100% positive feedback, but when it arrived it looked kind of dull... That's why I threw in a few extra random pins so you'd have a couple traders at the very least, if it turns out to be a scrapper. You're welcomed! I saw you were next on Timeerkat's alphabet co-op for the P and figured that would be an excellent Zap! Yayayayyay! I'm so happy you got it! I got this from DawnB. You did a great job, I didn't have any of these yet! I love the paper you put them on, too.